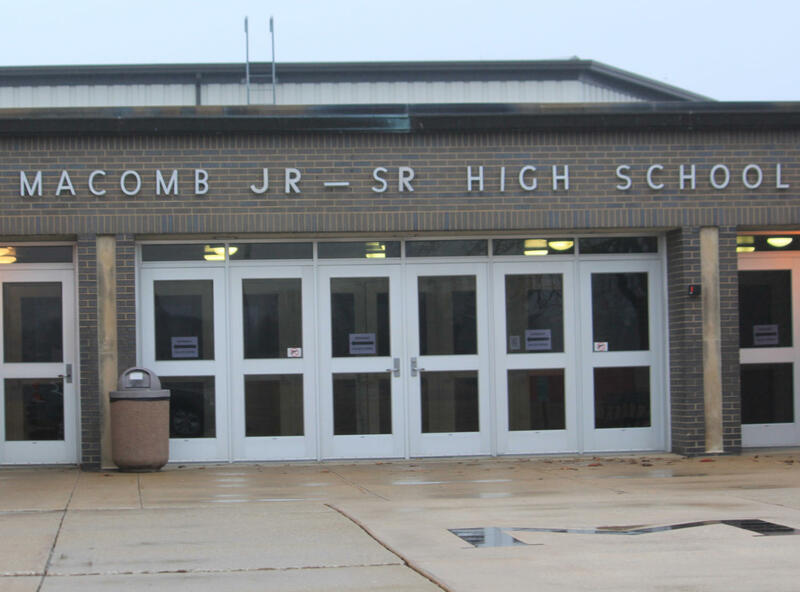 Macomb Junior-Senior High School, where two former students claim the were sexually assaulted by a former male student, and where they claim administrators ignored the incidents in a lawsuit filed Feb. 16. Macomb Community Unit School District 185 published a statement Feb. 26 responding publicly to allegations of negligence and Title IX violations regarding a civil suit filed Feb. 16 claiming school officials ignored sexual assault and harassment claims made by two female students. The suit, which seeks a jury trial and compensation of no less than $10 million, claims a teen boy who attended Macomb High School from 2014 to 2017 sexually assaulted two former students, who had both transferred to alternative schools following the incident after defendants, which include Principal John Rumley and Assistant Principal Ed Fulkerson, dismissed their claims as only accusations. “Because we need to respect the judicial process and the privacy of those parties involved, we are not going to discuss, in detail, any pending litigation publicly,” reads the statement from President of the Board of Education Jill Myers and Superintendent of Schools Patrick Twomey. On Monday, several community members spoke about the lawsuit, claiming a lack of faith in the school’s administration and in how it handles cases of sexual assault and harassment. The school board offered no comment about pending litigation, though Twomey would comment personally on complaints that Macomb teachers don’t care about their students. The district’s response continues to say that they are taking the allegations seriously, and acknowledge that the nature of the suit has caused community concern.